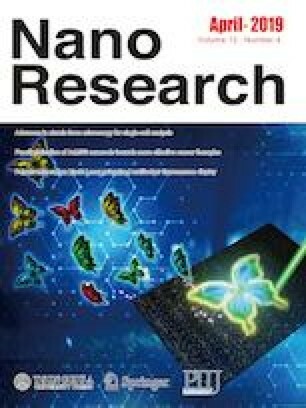 Despite demonstrating exciting potential for applications such as drug delivery and biosensing, the development of nanodevices for practical applications and broader use in research and education are still hindered by the time, effort, and cost associated with DNA origami fabrication. 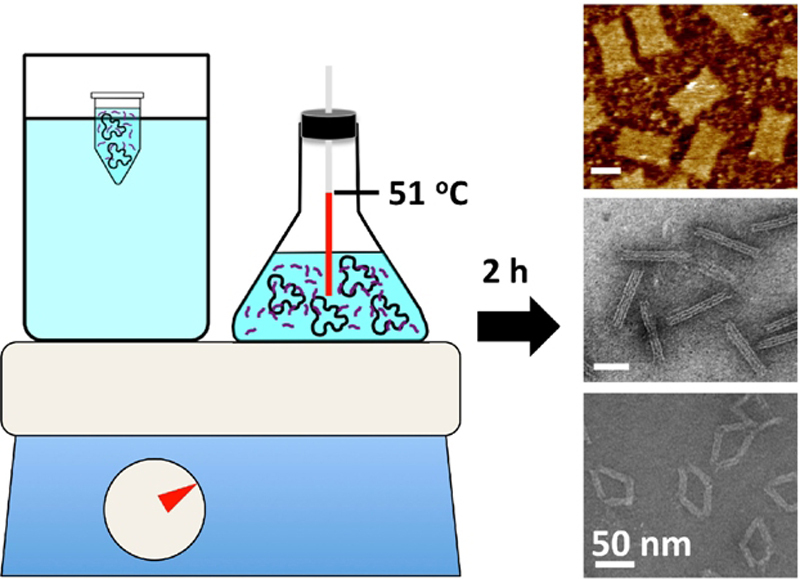 Simple and robust methods to perform and scale the DNA origami self-assembly process are critical to facilitate broader use and translation to industrial or clinical applications. We report a simple approach to fold DNA origami nanostructures that is fast, robust, and scalable. We demonstrate fabrication at scales approximately 100–1,500-fold higher than typical scales. We further demonstrate an approach we termed low-cost efficient annealing (LEAN) self-assembly involving initial heating at 65 °C for 10 min, then annealing at 51 °C for 2 h, followed by brief quenching at 4 °C that leads to effective assembly of a range of DNA origami structures tested. In contrast to other methods for scaling DNA origami assembly, this approach can be carried out using cheap and widely available equipment (e.g., hot plates, water baths, and laboratory burners) and uses standard recipes and materials so is readily applied to any existing or new DNA origami designs. We envision these methods can facilitate device development for commercial applications and facilitate broader use of DNA origami in research and education. Supplementary material is available for this article at https://doi.org/10.1007/s12274-019-2384-x and is accessible for authorized users. This work was supported by grants from the National Science Foundation (Award No. 1351159 to CEC) and the National Institute of Health (Award No. R01HL141941 to CEC and R35 CA197734 to JCB), and in part by D. Warren Brown Foundation, Four Winds Foundation, and the Harry T. Mangurian Jr Foundation. The authors also thank the Campus Microscopy and Imaging Facility and the NanoSystems Lab at The Ohio State University for imaging support and members of the Castro Lab, especially Dr. Chris Lucas, Josh Johnson, Jenny Le, and Molly Mollica for their feedback and suggestions for this work.